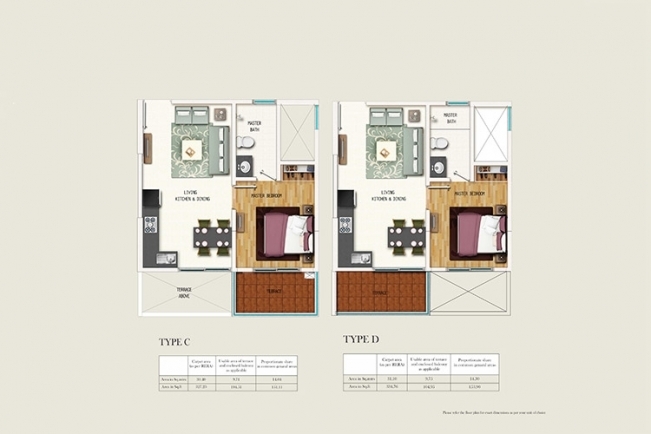 Size: 305 sq.ft. - 586 sq.ft. 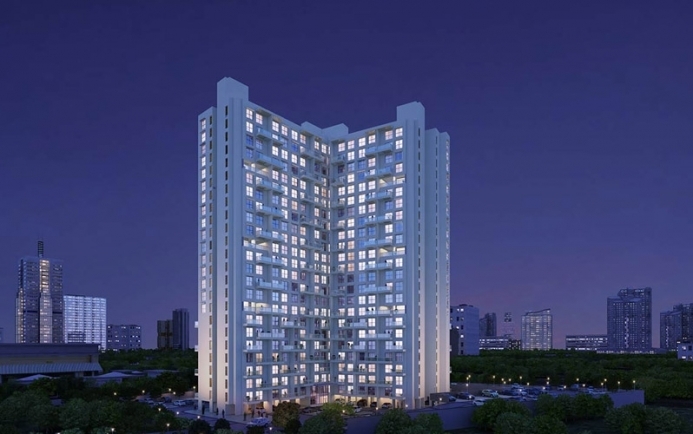 Gera Adara (RERA no: P52100000889) is an ongoing residential structure in Hinjawadi, Pune by Gera Developments. The first construction company in India to offer a five years registered warranty on real estate compromising of Preventive maintenance and repairs since 2004. The Adara is a splendid development sprawled over 2.5 acres and featured to offer more than 250 flats. 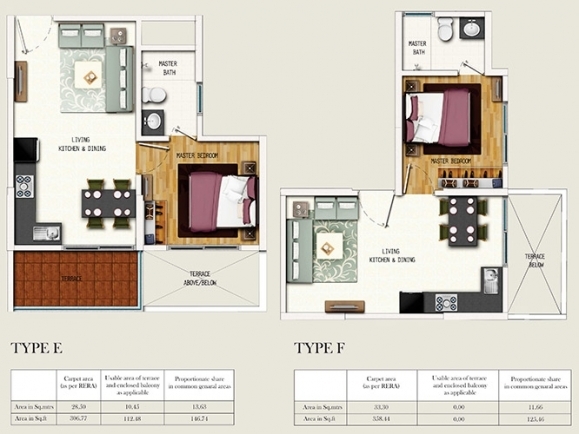 Adara is a project of thoughtfully designed 1 BHK & 2 BHK placed away from hustle and bustle of the city. This tower is a 24 floors tall, joint tower with the features of modern architectural style with stylish roomy flats at the base rate of 36 Lacs to 62 Lacs. The apartment price fits your budget and there is so much for everyone from sports enthusiasts to fitness enthusiasts to gardening enthusiasts and for nature admirer there is lot of lush ample space to have view of and feel it. Adara apartments will be ready to occupy by October 2022. 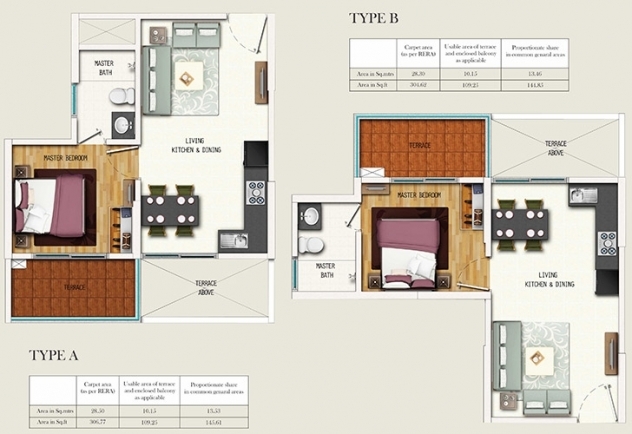 The unit types of Gera Adara are 1 BHK with saleable area of 310 Sq.ft and 2 BHK Duplex apartments are onto saleable area of 608 Sq.ft. The master plan of the project is facilitated with Semi Covered Parking, Open Parking, Covered Parking inside and outside building with the strength of approximately 265 cars parking space. The flooring of Living Dining & Kids rooms is specified with Vitrified flooring, Anti-Skid Ceramic tiles are used for Bathing rooms & apartment balconies. Kitchen is fitted with Piped Gas, Chimney Faber, modular kitchen designed with lower cabinets and many internal specifications will be available in your Adara apartment. Gera Adara is tucked between Tree lined avenue, Gardens and Parking space. There is only one main gate for entry and exit with easy movement space.Here at Gera Adara you will experience a new life like nowhere else. Gera Developers entered into real estate market in 1970. Has delivered about 50 Projects over 4 Million Square Feet of development. Gera developers are creators of Commercial & Residential projects across three major cities in India. The company is operational in Goa, Pune and Bangalore locations. Gera Developments is an IOS Certified Company and their developments include Greens Ville, Song of Joy residential complex, Misty Waters, Affinia, Isle Royale, Verbena High Rise and the list goes on. In Pune their first common business tower at Koregaon Park, Pune's first shopping mall named Gera Plaza was their biggest success. Gera Developments has designed a unique "Child Centric Project" mainly focused on holistic development of children within the premises of the complex. The company has developed intelligent spaces that are capable of representing luxury living with their 47 years of experience. Hinjawadi is also called as Hinjewadi located at Pune Suburb. Rajiv Gandhi InfoTech Park is quite famous in Hinjewadi as the location was completely rural before the construction of this 2800 acre IT Park. Hinjewadi houses more than 100 firms of different sizes. Hinjewadi lies off Katraj to Dehu bypass road at Pimpri Chinchwad on Western side. At Gera's Adara you also get to enjoy excellent civic & social infrastructures. Adara is a RERA certifies project and offers good enough reasons to buy & invest in this property. Reputed schools, Recreational centres, Shopping zone, Hospitals are within your reach. Hinjewadi is blessed with superlative connectivity benefits via bus, train and other public transports. 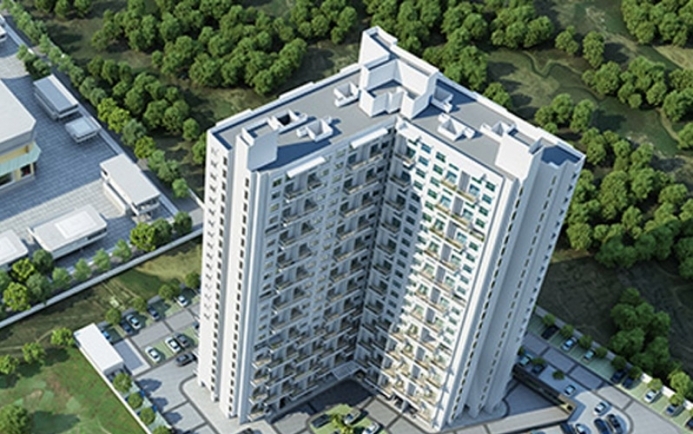 Gera Adara is a private residential project in Hinjewadi Phase 2 near Wipro, Murarji Road, Pune, Maharashtra –411057. Gera Developers has ensured a comfortable & safe living to the residents by providing all required indoor & outdoor facilities and amenities in Adana complex. Gera Adara project has a fully equipped gym, an expansive swimming pool, Landscaped joggers track, Children’s Play area with Verdant Garden, Acupressure Path, Recreational Space, Toddler’s Play Area, Barbeque area, Lounging Area, Advanced CCTV Surveillance, Lawn Tennis Court, Spice Garden, Amphitheatre, Fire safety, 24 hours backup electricity and Rain water harvesting. Schools: - Pawar Public School, Blue Ridge Public School, St. Timothy English Medium School. Garden/Parks: - Sant Tukaram Garden, Hinjewadi Park, Rajiv Gandhi Infotech Park. Hospitals: - Hinjewadi Hospital, Gurukrupa Hospital, Shree Hospital, Ayushree Hospital. Restaurants: - Spice Nation, A1 Biryani House. Bank Branches: - Kotak Mahindra Bank ATM, ICICI Bank ATM. Railway Stations: - Pimpri Railway Station, Dehu Road Railway Station, Chinchwad Railway Station.